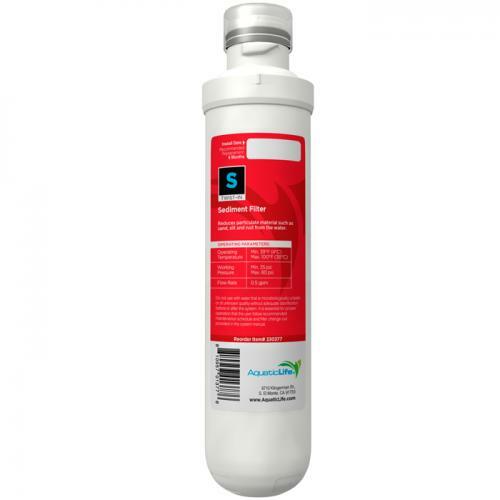 Brief Description: Aquatic Life Twist-In 5-Micron Sediment Filter Cartridge that traps sediment and other particulate matter like dirt, silt and rust which will affect the taste and appearance of your water. 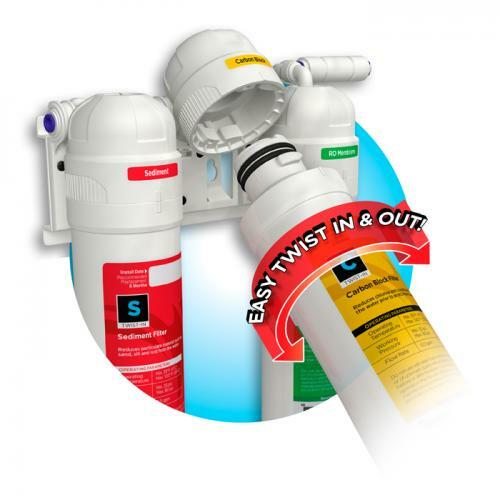 Notify me when "AquaticLife Twist-In Sediment Filter" is re-stocked. It is recommend that these Cartridges be replaced every 6 months. Working Pressure: Minimum 35 PSI, Maximum 80 PSI, Ideal 65 PSI. Click here to see the Specification Sheet.